1- We assert that the Azharite scholar and reformist thinker Mr. Muhammad Abdullah Nast is not one of the Quranists nor a writer of articles on our Quranism website; we do not know him personally and we hold widely different views and school of thought from his. Yet, we defend his rights of freedom of expression with all our might, because all Quranists support absolute religious freedom and the freedom of expression and thought for every individual, and Quranists are against the dominance of clergymen, theocratic terrorism, and political tyranny anywhere in the world. We maintain that those high-rank sheikhs and clergymen at the Cairo-based Al-Azhar institution, in Egypt, are the ones behind the unjust incarceration of Mr. Nasr for his reformist views expressed in the media and via the internet that have influenced many Egyptian citizens. Quranists assert that the persecution inflicted by the Azharite clergymen on Mr. Nasr is committed because Al-Azhar protects the terrorist Wahabi ideology that causes bloodshed and terrorism worldwide until now. In fact, the Azharite clergymen are the religious imams and leaders of all Wahabi terrorist organizations, from Al-Qaeda to ISIS, as well as Boko Haram and other similar Wahabi Sunnite terrorist groups that will emerge in the future. 2- We assert that the elimination of such Wahabi terrorist organizations is not possible unless its sources of religious thought are dried first; this means that we must get rid of all imams and sheikhs of intellectual corruption in Al-Azhar, especially its current head sheikh, Ahmed Al-Tayyib, who takes revenge against his foes by incarcerating them, making use of his control over the current Egyptian president, Abdel-Fattah Al-Sisi. It is known to all that Mr. Nasr is a supporter of the Egyptian president, and yet, the president has not helped him in his ordeal, because Al-Sisi himself submits to the head of Al-Azhar who represents the Wahabi Saudi influence in Egypt! 3- We assert that imploring any authorities in Egypt will be of no use at all to pressurize them to release Mr. Nasr from his prison; the current head of Al-Azhar, Al-Tayyib, will never forgive Mr. Nasr for his exposing the reluctance of Azharite clergymen who do not want to discuss and refute the Wahabi religion of the ISIS criminals. This imam and leader of ISIS religion, Al-Tayyib, continues his revenge against the poor and diseased Mr. Nasr by impeding all endeavors that aim to release him. 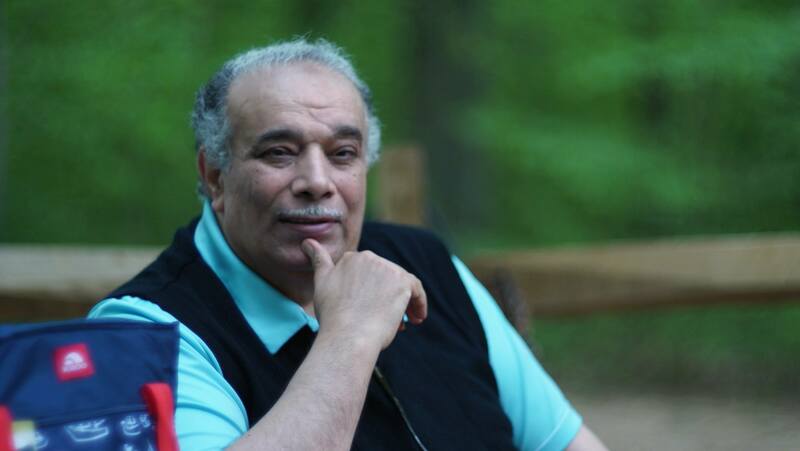 4- We maintain that the best way to help Mr. Nasr and to pressurize the Egyptian authorities to release him is to cooperate and organize a campaign calling for the trial of Al-Tayyib and his Azharite cronies and high-rank clergymen by the International Criminal Court (ICC). This must be done not only to defend the oppressed thinker Mr. Nasr, but also to dry all sources of the quasi-religious thought of Wahabi terrorism that provide the Wahabi ideology for ISIS and other similar terrorist organizations. 5- We must launch an international campaign using this motto: (The ISIS imam and head of Al-Azhar, Ahmed Al-Tayyib, must be tried by ICC). 6- We wait for the launching of this international campaign which must evolve later on into an organization that will help in the endeavors to get rid of all Wahabi Sunnite terrorism sheikhs and clergymen, and Al-Tayyib is on top of the list. 7- We must begin this international campaign by spreading this statement of IQC all over the cyberspace, especially within the social media websites; this is a first step within the establishment of an international organization that must follow this case before ICC, whose laws allow people to demand the immediate arrest and trial of Al-Tayyib, the head of Al-Azhar.